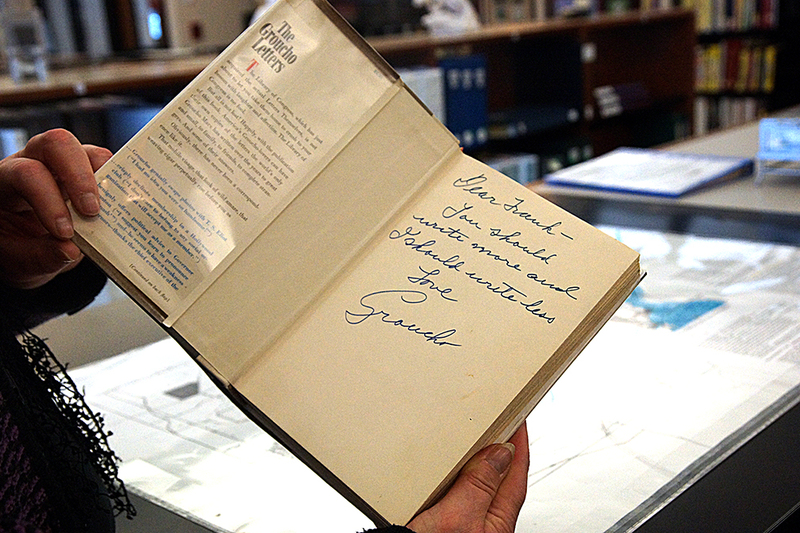 'saratoga living' takes you on a journey into the heart of the Saratoga Springs Public Library to learn about its vaunted historical repository. A couple of years back, my boyfriend and I spent a spring and summer carving a big “S” across the continental United States. We started in Los Angeles, driving as far Southeast as New Orleans before doubling back through the Rockies for a wedding in Berkeley, CA. Then we set off again, this time for Seattle, eventually heading east, past the Great Lakes and, after a hellish night driving through dreary Pennsylvania, finally parked our car in Saratoga Springs. My boyfriend grew up here, but it was my first experience in the spa city. I ate my first doughboy (the first of many) at Esperanto. We strolled through Congress Park. I tried the mineral water (the first and only time). We walked all over town, and everywhere there was a story, whether it be a pop culture tidbit or a piece of history dating back to the Revolutionary War. Of all the towns we explored during our five months on the road, I’d never seen a place chronicle and embrace its history like Saratoga. It’s a rarity that a city of under 30,000 residents has its own history museum, a designated city historian and slough of historic tours and classes available to curious tourists and townies alike. But perhaps most unique to this town of chroniclers is the Saratoga Room, a large archive of Saratogiana in the heart of the Saratoga Springs Public Library (SSPL). The Saratoga Room has an extensive and well-maintained history of its own. The current iteration of the Room opened its doors along with the Henry Street location of the SSPL back in 1995. Before that, it was born of a 1967 addition made to what used to be the SSPL, the building that is now The Saratoga Arts Center on Broadway. 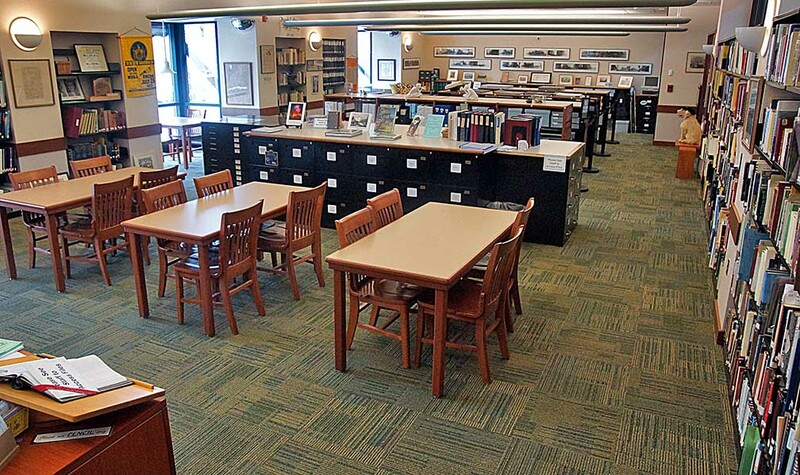 Marion (Sonia) Taub, the local librarian at the time of the remodel, seized on the opportunity to create a new room for the library, “a space that focused on the history and people of Saratoga Springs,” says Mary Ann Fitzgerald, Saratoga’s City Historian. 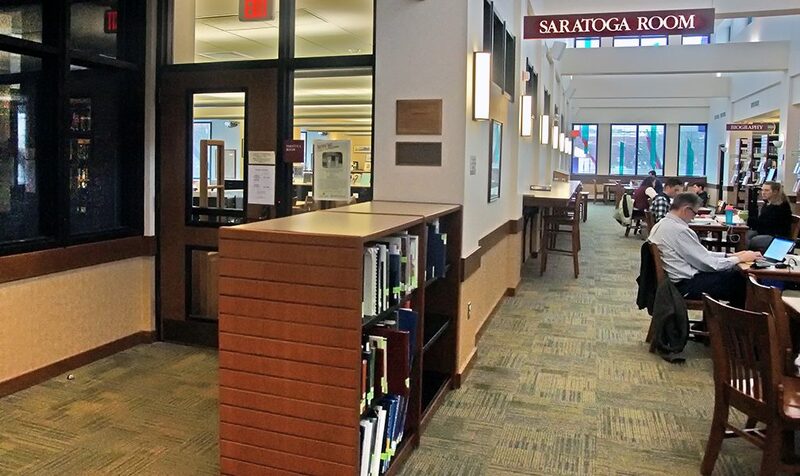 To move and expand the room to its current size was the brainchild of Jean Stamm, the former Assistant Director of the Library, who wanted to further the tradition of celebrating Saratoga’s history. 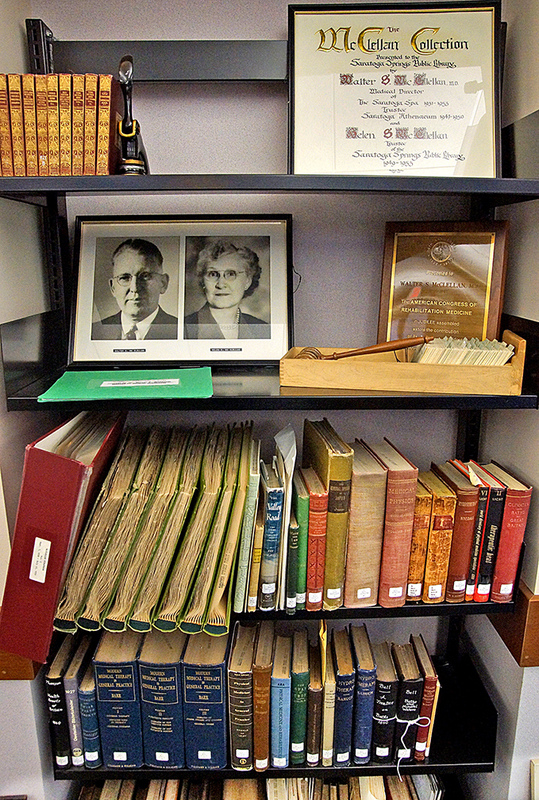 Today’s Saratoga Room, which is packed with printed records and a handful of historic objects and artifacts, is now dedicated to Stamm’s memory. With a town as steeped in history as Saratoga, the Saratoga Room merits a visit just as much as the spas and Saratoga Race Course. “Our city slogan is health, history and horses—history is right there in our slogan,” Patterson says. “Long before we had the racetrack, we had the mineral springs and the history.” And rest assured, if you do find your way to the Saratoga Room soon, you’ll be happy to know that the friendly librarians there won’t leave any of your questions unanswered. This local journalist knows best.